What Is the Dye Proto Rail? 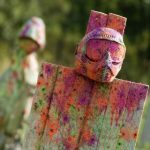 Purchasing a quality paintball gun can be quite a challenge. 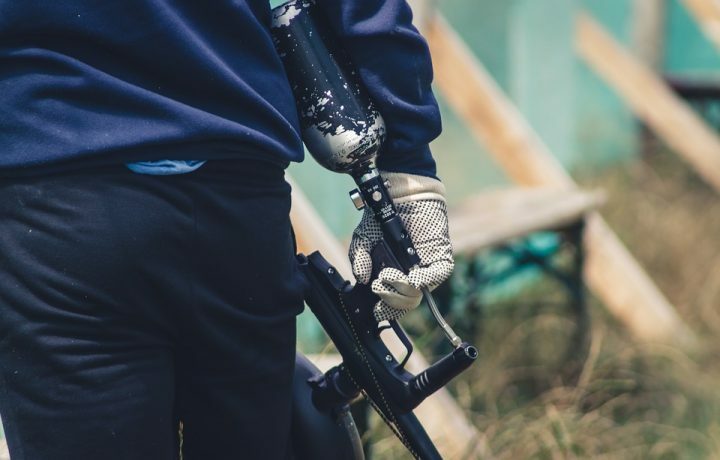 In recent years, paintball has grown in popularity among both casual and competitive players. 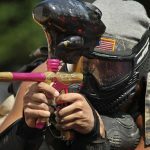 As an obvious result, the paintball industry has exploded. Now, with so many options to choose from, even the most experienced players can struggle to find a great marker for a reasonable price. 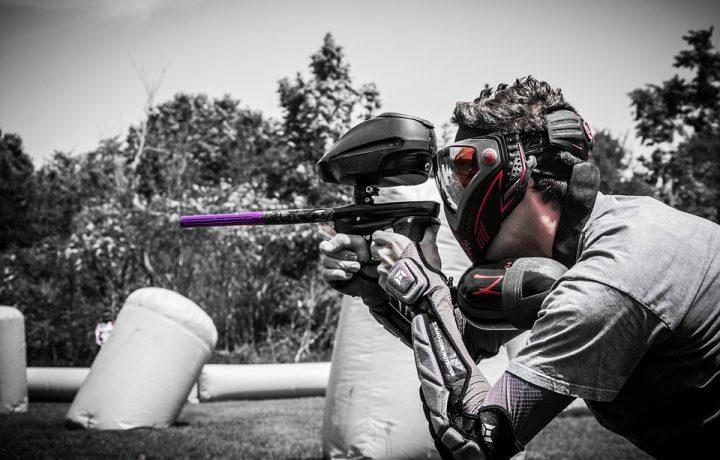 In this article, we have reviewed one of the most popular mid-level paintball guns, the Dye Proto Rail. We'll start off with an outline of this marker's key features, followed by the reviews of 3 competing products. After comparing it to the competition, we'll share our overall and final rating of the product. 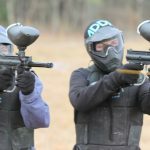 Our goal is to provide all the information you need to select the perfect paintball marker in a single place. The Dye Proto Rail is a paintball marker geared toward beginner and intermediate players. 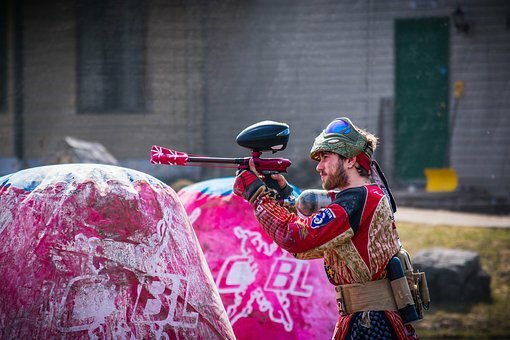 Dye has a reputation for producing top-quality paintball products and this marker is no exception. The Proto Rail is surprisingly versatile, with a multitude of unique features that enhance player performance. It is durable, precise, and easy to use, offering the performance of a high-end model at an affordable price. The design of the Dye Proto Rail is one of its most notable features. The gun has a sleek, hourglass shape that's both visually appealing and functionally useful. The unique shape ensures comfort while shooting from any position and gives the user optimal control of the marker. Its aluminum build makes it tough yet light, weighing just two pounds. It's a compact paintball gun, but it doesn't lag behind more expensive models when it comes to performance. The 11-inch .68 caliber barrel can fire at an amazing rate of 18 balls per second with excellent precision. Like all Dye barrels, this one too has undergone through an intense honing process to remove all surface imperfections. This reduces air turbulence to consistently produce straight, accurate shots. It comes with multiple firing modes and an LED program control that allows users to switch quickly between modes and make adjustments mid-game. The Proto Rail is also very efficient. Using Dye's patented Fuse Bolt technology, the marker can be operated at extremely low pressure, with a 140psi. This feature ensures smooth shots with minimal recoil. It's equipped for any style of play with four tournament modes and an auto-fire mechanism. Like other Dye markers, it has a Hyper-3 in-line regulator to maximize response time, giving players an additional edge over their competition. Finally, the Proto Rail is built to last. With proper maintenance, it should have a lifespan of over half a million shots. We picked a three similar paintball guns to see how they stack up. The $ price point is fair considering the quality of the Proto Rail. This marker comes with great accuracy. The multi-stage precision honing and Fuse Bolt technology successfully combine to produce only smooth and accurate shots with minimal recoil. This marker shoots at a medium range. While it's likely too short for most advanced players, we found it suitable for beginner to intermediate players. The design quality of the Dye Proto Rail is impressive. This is an aesthetically appealing marker that also offers the user great control. The compact design makes it easy to carry and to shoot from any angle. The various firing modes offer greater versatility and the LED operation display allows users to make changes quickly and easily. We also enjoyed the sturdy grip which keeps the marker secure and balanced while shooting. This marker comes with a standard one-year manufacturer's warranty. Dye will provide a full refund or a replacement for any defective product within the warranty period. 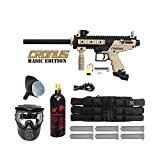 The Tippmann Cronus marker is another paintball gun well-suited for beginner to intermediate players. 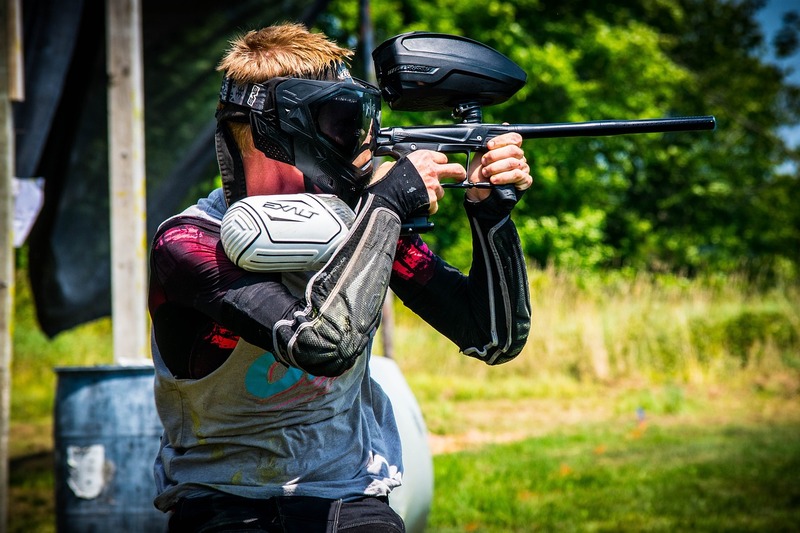 Like Dye, Tippmann is a popular name in the paintball industry with a reputation for producing great quality products. The Cronus is known for its reliability, ease of use, and accuracy. At about three and a half pounds, it is lightweight, but the high-impact composite build makes this gun exceptionally durable. For that reason, it's often used as a rental marker at many paintball venues. The Cronus has been built to last and requires minimal maintenance. It's simple to disassemble and clean, so users with no mechanical skills or paintball experience should have no trouble caring for this marker. The Cronus features an internal gas line and an in-line bolt system that ensure a strong and comfortable grip. It comes with a nine inch .68 caliber barrel and can shoot an impressive 15 balls per second. It also comes with a rail system for accessories and is compatible with several upgrades. At a price of approximately $$, this is the most affordable marker we reviewed. It can be purchased directly through Tippmann, or from online retailers such as Amazon.com. The Cronus has decent accuracy, but couldn't compete with the smooth, consistent shots of the Dye Proto Rail. Its accuracy is sufficient for a low-range marker, but a barrel upgrade is necessary to improve precision for long distance shots. The range of the Tippmann Cronus is fairly low at about 75 feet. However, a barrel upgrade will significantly increase the range to about 150 feet. The Cronus lacks the style and ergonomics of the Dye Proto Rail, but we were pleased with its durability. It is a fairly basic marker in terms of special features, yet barrel upgrades can be easily added to boost performance. This product comes with a standard one-year manufacturer's warranty for defects in materials and workmanship. 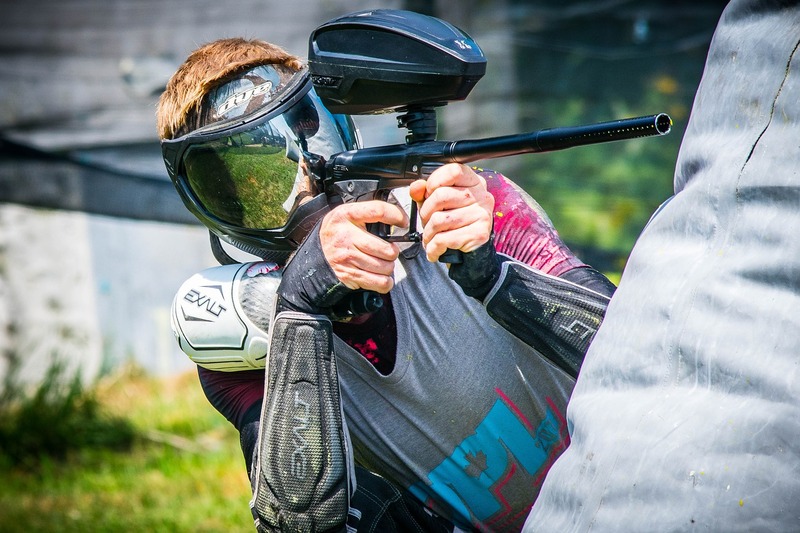 The Tippmann A5 is one of the most popular paintball markers for scenario gameplay. It is also the most versatile paintball gun we have reviewed so far, with a variety of barrels, stocks, magazines, and grips to choose from. Compatible body kits allow users to customize its design to resemble almost any gun they choose. It comes with a fire selector on the grip for safety and single shot modes. The user can also swap the grip with an electronic trigger for full-auto and single-shot fire modes. This Tippmann also features an eight and a half inch,.68 caliber barrel with semiautomatic firing action. Constructed with a combination of metal and high-density plastic, the A5 was also built to last. The threaded barrel provides good accuracy and range with a firing rate of about eight balls per second. It can also be swapped with a 14-inch barrel for greater range and accuracy. Also check out our full review of the Tippmann A5 for its full specs and more. At roughly $$$, this is the most expensive marker we've reviewed. However, we found this to be a good value relative to its quality, durability, and versatility. It can be purchased directly through Tippmann, or from online retailers, such as Amazon.com. We were pleased with the accuracy of this marker. Its standard eight and a half inch threaded barrel produces consistently precise shots with little to no recoil. However, a 14-inch barrel is typically required to achieve the same level of precision with long-distance shots. The A5 has a shooting range of about 150 feet. If necessary, its standard eight-inch barrel can be easily swapped for a 14-inch barrel to increase the range. We were impressed with the overall design quality of the A5. The sturdy metal frame and high-density plastic make this marker oustandingly durable. With many customizable features, the A5 can easily adapt to an individual player's skill level and preferences,while the endless combinations of upgrades and accessories add to the longevity of the marker. As its owner gains more experience, this gun can seamlessly transition from beginner to expert level. Like the Dye Proto Rail, this marker comes with a standard one-year manufacturer's warranty for defects in materials and workmanship. 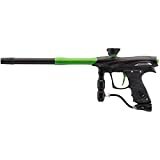 The Spyder MR100 Pro is a paintball marker manufactured by Kingman. Like the Dye Proto Rail, it's primarily designed for beginner to intermediate players. At four and a half pounds, it's heavier than the previous markers we reviewed. The Spyder is also durable thanks to a high-grade aluminum build. This popular marker is known for its exceptional accuracy and smooth shots. It can reach targets up to 300 feet away, a great perk for sniper-style players. It uses an eko-valve system to generate a strong firing rate, allowing users to shoot up to 1,500 shots on a single CO2 tank. It is easy to shoot with it due to a two-trigger system and a vertical fore-grip for added stability and balance. It's a reliable marker with very few moving parts, so players won't run the risk of losing pieces in the heat of battle. If you want to learn more about this marker, click here for a full review of the Spyder MR100 Pro. The Spyder MR100 is slightly less expensive than the Dye Proto Rail at approximately $$ . 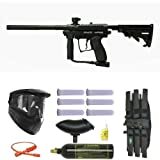 This is a great price for a high-quality paintball marker. It can be purchased directly through Kingman, or from online retailers such as Amazon.com. We were pleased with the accuracy of the Spyder MR100. 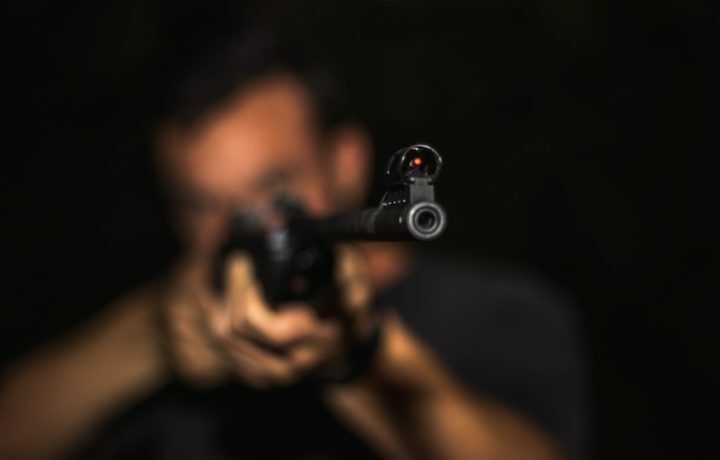 The vertical fore-grip and two-trigger system consistently yielded precise shots with little to no recoil, even when shooting at distant targets. This marker had the longest range of all the markers we reviewed. It can reach targets up to an impressive 300 ft. range limit. Overall, we think the this marker's design quality is great. Its operating system is very efficient and the eko-valve feature successfully yields excellent firing strength. It is heavier than other markers on our list and has a sturdy, high-grade aluminum build. However, it does lack the multitude of special features of the Dye Proto Rail. This marker comes with a standard one-year manufacturer's warranty. You can return the product for a full refund, or exchange it if defective for a replacement during this time. After carefully reviewing this product and its main competitors, we gave the Dye Proto Rail an overall rating of 4 out of 5 stars. The Proto Rail has an exceptional design that is both beautiful and performance-enhancing. We loved the compact design and versatility, featuring a variety of firing modes for any style of play. The Dye Proto Rail consistently fires with superb accuracy and has an outstanding firing rate. This marker has more moving parts than the others we reviewed, so disassembly and maintenance may take some time getting used to. Unfortunately, it requires more gas than many players are used to, so it's important to be prepared before investing in it if you choose this marker. However, the positives of this marker significantly outweigh the negatives. Ultimately, we believe the Proto Rail is an exceptional marker and a great value.